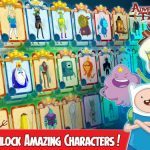 Adventure Time Puzzle Quest is another mobile game based on the popular cartoon, and as you may have figured from the word “puzzle” this is a Match 3 type of game. Like most games of this type, this D3 Go title is available for both Android and iOS devices. However, it comes with some RPG elements that make it different from your typical game in the Match 3 genre. 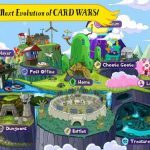 According to the game’s story, the Ice King has a “rat problem,” Princess Bubblegum “needs saving,” and Flame Princess is all set to “declare war.” That’s the backdrop as you join Finn, Jake, and other Adventure Time characters in completing quests, crafting special items, and doing so much more aside from completing basic Match 3 levels. 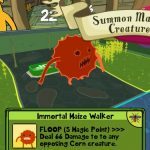 Now, that we’re done giving you a basic backgrounder on the game, we can now bring you our list of Adventure Time Puzzle Quest cheats, tips and tricks. If you’re a fan of the cartoon, you know that Adventure Time is more than just Finn the Human and Jake the Dog. By gathering Magic Dust and/or Hero Coins, you can unlock characters like Princess Bubblegum, the Flame Princess, the Ice King, Marceline, and other members of the Adventure Time cast. The characters you in control need to be fed, and be fed the right type of food. That’s going to help them level up and become capable of completing more difficult quests. Also, take note that each type of food has their own specific powers. For example, Demon Heart foods add health and attack rating, while Perfect foods help your characters become stronger overall by improving their abilities. Once you see your special meter all filled up, go ahead and unleash your special ability. This will give you two moves for your turn instead of one. The special meter can be filled naturally while in battle, and as you’ll see, each character has their own ability that’s unique from each other. For example, Finn’s special skill can remove one random column if you match it up with blue pieces. 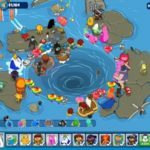 Each of your characters should have different abilities based on colors – like in most other games where you need to create a team, it’s best to have a versatile one that covers most, if not all bases. If you’ve completed a level or quest, you can always play it again so you can earn more experience points. Likewise, there are special events and tournaments that could win you even more rewards, including new characters and support cards. It’s a hallmark of Match 3 gaming – you can clear out levels quicker by using combo moves. However, you should also hold back on unleashing big combos, saving them for characters like Wizards or Fighters who have high attack ratings.